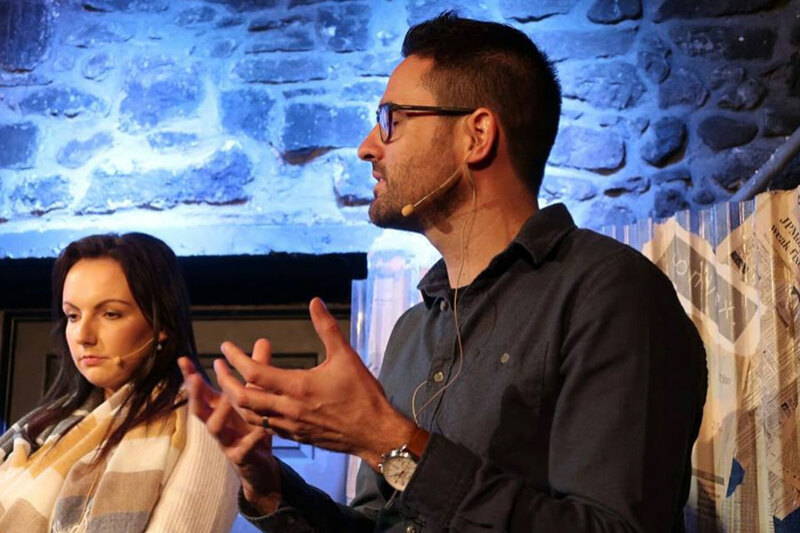 Some background first, Tech Thursday Kilkenny is running three years and has so far delivered 20 free meetups to encourage a culture for a knowledge-based economy in Kilkenny. Currently, the County is mainly a service-centric City and County. The goal is to be proactive regarding having a more skilled workforce, better jobs, more disposable income and less of the current brain drain from Kilkenny. 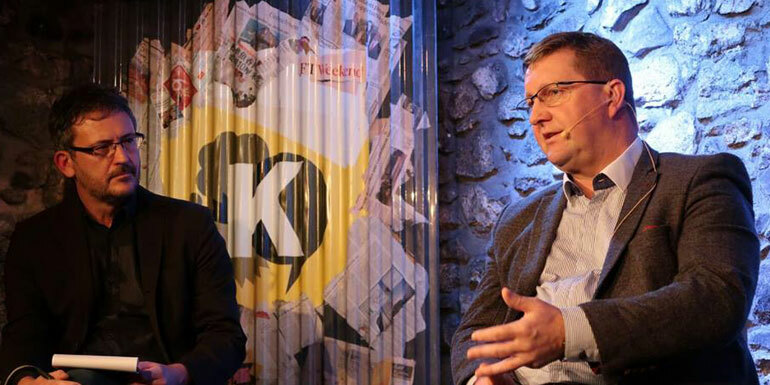 Kilkenomics is a festival that brings together some of the world’s leading economists, financial analysts and media commentators with some of the funniest, sharpest standup comedians to discuss economics and how it affects us all. The panel talk focused on Limerick's economic success over the past five years and what Kilkenny can learn from this. Limerick is one of the biggest Irish success stories of the recovery, from an economic renaissance to social and physical regeneration. With a top-line target of €1 billion in enterprise investment and infrastructure as part of their "Limerick 2030 Vision", so far over 12,000 jobs have been created since 2013. Their future-focused framework facilitates domestic and foreign direct investment making it an attractive place to both live and work. Limerick had the highest disposable income per person in Ireland outside of Dublin and was recently listed as one of the top 10 European cities to invest in by Site Selection. Frank Crowley, economist and lecturer at University College Cork. Catriona Cahill, the economist with the Chamber of Commerce, Limerick. Mike Cantwell, CEO at ‘Innovate Limerick’, also involved with 'Limerick 2030 Vision' from its inception, and previously worked with Limerick County Enterprise Board. I was impressed by the Limericks 2030 plan for its transparency, joined-up thinking and strong future vision. With this in mind, the discussion opened by Mike giving some background into the plan inception. During the recession in 2009, Dell announced 2,000 redundancies, but this was not the full story, over 8,000 job losses occurred as a knock on effect in total over the following three months. Limerick had to be proactive from both the grassroots (private enterprise) and grasstops (local and national government and semi-states). Under the guidance of Con Murry, the plan launched after some research. The finding led to firstly acquiring five critical sites during the recession in which are already thriving such as Troy Studio and the Hangings Gardens development in the City. One of the essential actions was to join both City and County council together for a unified strategy. 'Innovate Limerick' was also an initiative that grew from the plan and Mikes role is to help companies scale and attracting companies like WP Engine to set up in the City. The City now has a strong relationship with the IDA and is recognised for its growing pharma, engineering and film industry. Catriona holds the first official economist role in a Chamber of Commerce and this shows how they are moving in new directions. They have 450 members and have a strong relationship with the Council. To drive policy forward, data, statistics and quantitative data need to be complete before talking to decisions makers. Currently, data sets are generally poor, and if members in the Chamber (example, an IT provider) wanted a profile on the City for that market, it's challenging to get that quantitative data to them. The economist role is helping the Chamber to bring together members and to build a comprehensive dataset together so that everyone can benefit. An interesting grassroots initiative by the Chamber is 'Limerick Leaders' in which successful business people and organisation coach and mentor growing Limerick companies on such ideas for international markets, future skills and the future of the industry. On a macro level, Frank looked at why capital cities are performing better due to high population and density which act as a magnet for knowledge and innovation-based companies. Cities suffer from pollution, crime and transport issues, so provincial cities and towns may have a more significant role to play. At a micro level, Kilkenny could then focus more on localised knowledge bases. Understanding what the unique knowledge bases are and what can be then diversified and related to the existing knowledge bases. We then explored how automation and technological displacements affect jobs. The first wave of automation hit manufacturing. Limerick was known and promoted by the IDA as a manufacturing region before 2009. As technologies and cheaper labour replaced routine-based middle-skilled job, this took its toll on Limerick's manufacturing industry. Dell was a prime example of this, and Frank pointed out that having all the eggs in one basket as a region is not the way forward hence the now nurtured pharma, engineering and film industries. Dell also reacted by growing from manufacturing to being an internet service provider based industry in Limerick, which means that over 40% of staff are now upskilling or their jobs will be gone. Also, GM in Limerick has one of the country's most success upskilling full-time employment programmes. The second wave of automation is upon us which is hitting services such as hospitality, tourism, retail and administration roles. Kilkenny being a service-centric City should take note. Currently, 8% of all low skill jobs in the service industry are replaceable. A further 22.5% are replaceable in less than ten years as predicted by the OECD. See Franks RTE article for more info. There are many questions for Kilkenny to answer going forward based on the current reliance on hospitality, tourism and retail and not to mention the shortfall of 7,200 IDA jobs in the south-east region. See the South East Economic Monitor report 2018 for further data. Before tackling all of that, we looked at funding as it is an integral part of Limerick success. One billion investment from both public financing and private enterprise is the target for Limerick. The key is good research and targeted proposals. Limerick secured over half a million from IBM in funding from a plan leveraging technology for an ageing population. The Opera Site in Limerick acquired 85 million from the European Investment Bank which quoted that the Limerick proposal "ticks all the boxes, financing for high social impact." I also questioned the panel if they thought having strong political representation is an advantage? 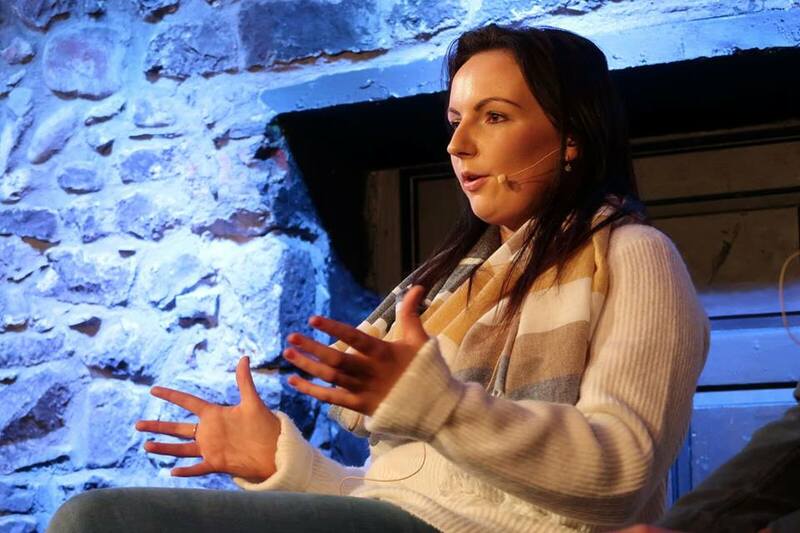 The general thought was no as regions such as Kilkenny need to be more focused on having more autonomous control and much stronger grassroots movements which are considerably lacking in Kilkenny. Frank did point out that in the Government's 'Project Ireland 2040' plan hardly references Kilkenny at all! Cork and Limerick get quoted about 70-80 times, this he puts down to the other counties having better political representation. 3. Civic services. Mike says Limerick is wholly connected, everything is just one phone call away which allow things to happen a lot quicker. The digital strategy section of the site is particularly impressive with the thoughtful prospect focused personas, see an example. Putting the focus on the prospective business to come to Limerick rather than a strategy of parading the existing industries gives a clear competitive advantage. All the panel agreed that Kilkenny could do with some digital or innovation strategy officer for a better strategy. Finally, the panel gave their thoughts on what Kilkenny can do going forward to future-proof jobs and tackle the growing brain in the region. See the South East Economic Monitor report 2018 for further data. Focus on what you are good at and find options there, insist on more interaction from the sleeping giants such as Glanbia in Kilkenny to take a more involved approach. Some businesses today are more footloose, meaning they can easily move, so work on the embedded industries such as the Agri sector which would be considered to have deep roots. These can be further explored for untapped potential. The creative industry such as the two animations studio in Kilkenny should also be examined for the untapped spillover of a complementary private sector creative industries. Strong leadership and the unsung heroes from the private sectors was key for Limerick. Work to your strengths and do not be complacent. The doughnut effect of the dwindling 20s and 30s age group will only be remedied by good leadership, continuous investment and implementing practical policy. Currently, a lot of local plans are not reasonable and are re-written every couple of years which is a bad strategy and leave us running in frustrated circles. Don't hang around waiting for the IDA to do something, make introductions to the current CEOs and business people in the region and start working their contacts. When the IDA bring companies to the shores of Ireland, it is up to each region to proactively win and acquire them. Present potential investor and business with the stats and the figures they need, show them how they can grow and make it easy for them with such advantage as low rental contracts and other unique benefits. Go and visit potential companies in their countries and this is where you will find opportunity. My last question was if they thought Kilkenny needed a Limerick 2030 plan approach, even if we do already have a regional 'South East Action Plan for Jobs'. Resoundingly the answer was yes but perhaps call it a 2035 plan because we are already five years behind! After spending some time to review the panel discussion, here are some of my insights. The Kilkenny 2035 plan is paramount as we are so far behind. Catriona suggests we wait and see the results of the Regional Spatial Strategy (which are due out soon) before taking action. Like the Limerick plan, the best foot forward is a programme that's transparent, has joined up thinking and had a strong future vision. The title of 'economist' in the Limerick Chamber makes it very clear what they are trying to achieve. We should have clear roles like this going forward. It was also pointed out by Mike that good hiring was also crucial. If a position is available, it should only be a specialist in that area considered, and not moving people around from one department to the other. Kilkenny is also very reliant on the health sector and going forward many administrative roles in the next ten years will be automated, we need to start looking at more private sector opportunities to fill the gap. Having a semi-state creative sector is not that conducive or appealing to innovation in private business. Developing and nurturing private industry beyond the service sector is vital. A strong growing private industry is the perfect compliment to having a thriving service industry. If we had half the energy that goes into the flourishing tourism industry and service-centric approach in Kilkenny, we would be streets apart from other regions. Funding is an issue, and we should put more time into a strategy for this. We should also move away from the current focus on regional competitions that are easy to action but take up resources and don't have any solid strategy or adequately benchmarked. The IDA need to pump double the current efforts that are being made in Kilkenny and should be more proactive with all industry. Industry and local government need much better strategies to better work with the IDA and the potential employers. The Agri and Creative private industries have not been fully utilised regarding there potential and the complimentary industries they can attract to the region. This needs to be fully explored. It was evident that Limerick Council had to change from within first before approaching any industry. Kilkenny is under the remit of the 'Sout East Action Plan for Jobs' and we also have the regional design Gateways as a resource. What we have here is a perfect opportunity for collaboration with local governments and the SEAPJ to improve their services and strategy using the Gateways services. The Gateways would be working on real projects and not competing with existing private industry which is a win-win for everyone. 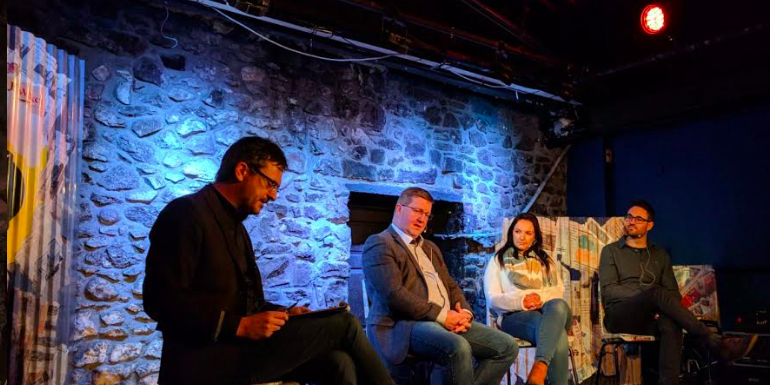 I would like to thank my panel for their time and insights and all the people who came to the show and Kilkenomics for having us. Utilising the existing strengths has served us well. I'm delighted to say the 21st Tech Thursday, Kilkenny is on the 21st November 2018 and we have Adobe, the multinational computer software company delivering a prototyping workshop to 40 professional designer, developers and students in Kilkenny. Please join us at the next Tech Thursday, Kilkenny. The events are listed here and you can also sign up to the newsletter.